When you think about your big goals for the season, what do you think about? The rush of joy and excitement when you look back at the scoreboard? The satisfaction when you have that medal draped around your neck? The sudden realization that you’ve seriously upped your game in the pool? Excellence, and the success that comes as a result of it, isn’t as glamorous or as rare as we think. It doesn’t happen overnight, it doesn’t happen in a flash, and it’s almost never a surprise. Far too often we look at the performance of an elite swimmer and marvel at how talented they are. We don’t look behind the curtain at the countless moments in training in which they chose to act with excellence. It’s much easier to mythologize their performance by labeling them talented and moving on with our day. Elite swimming is far more boring than being supremely talented. It’s the result of enjoying the process, working the details, and doing things better. Let’s break down those three things. Finding fun in the journey. One of the secrets of fast swimmers isn’t just that they like to win, but that they also find a lot of satisfaction in the journey. Excellence on race day is great, but it’s the daily pursuit of excellence that is most gratifying. That can seem silly, particularly for the casual outsider. The endless miles, the long bouts of churning around the black line, the daily pushing to the point of failure – champion swimmers enjoy this stuff. They pursue difficult and challenging goals, the sets that require their best effort, and competing against fast swimmers. Finding enjoyment in the journey happens when you are present and focused during the sets in practice. When you chart your progress and experience the daily bursts of confidence that come from small chunks of improvement. And when you focus on finding excellence in the things you can control. There is an expectation for a lot of swimmers that their dream race will just show up for them when they need it most. With enough willpower and focus and good vibes behind the block, their dream race will “auto-magically” show up. But competition is merely a reflection of what you do in training. 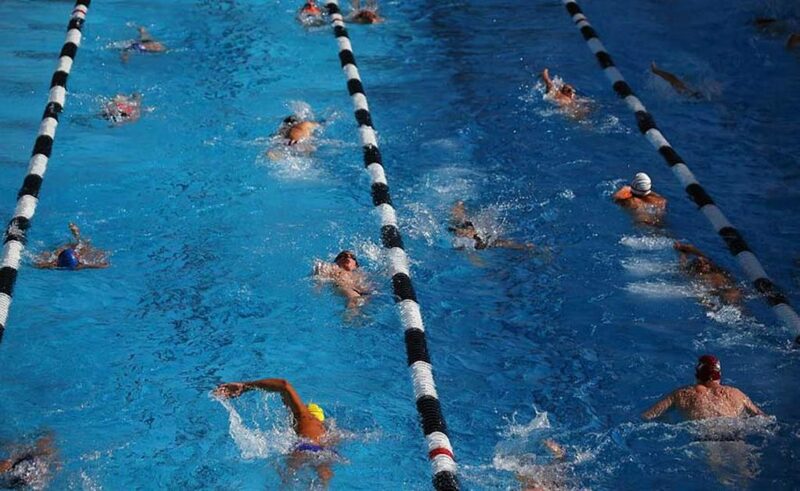 The streamlines you do in practice are the same ones that show up for you on race day. The flip turns you do during those early mornings are the same that you do under the bright lights at finals. Don’t gloss over the details and the small things because you think they are too trivial to make a difference. Mary T. Meagher, butterfly legend, saw serious improvement start to happen on her way to breaking the world record in the 200m butterfly when she made the simple commitment to execute every turn as perfectly as possible in practice. A couple excellent turns seem meaningless when viewed individually, but stacked up over weeks, months and years of training, that little detail turns into serious ammo for devastating performances. The details matter for the simple fact that your performance on race day rises or falls to how focused you are on the details in practice. When it comes to improvement, swimmers tend to look at more. More meters. More yards. More practices. More sessions in the weight room. More potato chips. But as the cliché goes, more isn’t always better. Instead, think in terms of better is better. Each week at the pool you have a ton of opportunities to improve. How many of those are you maximizing? Whether you go to the pool four times a week or nine, are you getting in the water and swimming each lap with a mindset of being better? Improvement doesn’t come from doing the same thing repeatedly. It happens when we do the same thing better and better. A couple fewer strokes per lap. An extra dolphin kick. A slightly faster interval. Often doing more means you are just doing more work at a sub-standard level, which won’t help you see the improvement you want. Instead, look to maximize the level of better in every meter you do at practice.